I was having a conversation with coworkers today about cheating when it dawned on me that I have cheated on almost every boyfriend I have ever had. Now, I don’t bring this up to brag about it, but more so to figure out why? What’s wrong with me? My first legit boyfriend was in the 5th grade. I was 10. Of course at 10, I wasn’t cheating. I didn’t have multiple love affairs. But since I can remember, which probably goes back to high school, I have cheated or thought about cheating during each relationship. It was never because I didn’t love who I was with. It was always because I couldn’t make up my mind. I was indecisive. I was with one person, but the person I had really been interested in was finally interested in me-of course. People always want what they can’t have. So, like any moron, I’d always test the waters. Knowing damn well that this forbidden person was definitely bad news to begin with. My intentions were never to hurt anyone’s feelings. It was always to benefit my own. Some would say the cheating was due to insecurities of my own….I completely agree. Some would say it’s because I was confused….I agree with that as well. But truth be told, I don’t know why I did it. Out of the 6 or 7 relationships I had, only one found out I cheated. And not because I got caught, but because I told on myself. Gentlemen, if you haven’t figured it out yet, women are so much better at covering up their mess than you are. I was always very careful with what I did. The only reason I told on myself with the one ex was because I felt bad. That was the one and only time my conscience got to me. It’s sad to say that on top of cheating, I never had any remorse. 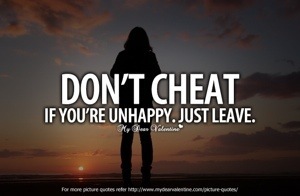 So, for exes of mine that are reading this and never knew I cheated, I sincerely apologize. I’d like to say that my behavior was solely based on how young I was. My age and immaturity. Having experienced a lot in the last 5-6 years, most of the things I’ve done in the past I would never do again. I’m at the age where I value people’s feelings and I respect them. I would never behave that way now. I know this comes as a shock after my recent post about liars. This could be the reason I don’t like liars, I did too much lying of my own. I don’t like how it feels to be lied to, why would I do it to others? My problem is, I feel like I am now paying for the dirt I did back in the day. I feel like this is “relationship karma”. I literally have not been in a relationship since the father of my child and we ended things roughly 6 years ago! Talk about a hiatus. I usually don’t like to speak things into existence, but I truly think God is teaching me a lesson, to say the least. I know I behaved badly in the past. But the last thing I want is to be alone forever. I need repentance!!! Of course, if I could go back in time and change things, I most certainly would. We all make mistakes. Cheating for me wasn’t a mistake, it was a choice, but a stupid choice. I thought I knew what I was doing. In retrospect, I lost a lot of great guys or ended things with great guys because I thought I had found something better. I don’t know what it feels like to be cheated on because I have never been the cheated, I’ve always been the cheater. I’m sure it’s not pleasant and I don’t want anyone that has been severely cheated on to think I’m taking this lightly. I want to make it known that everyone has faults. I’m dealing with the consequences of mine. But more importantly, I want to know if anyone out there thinks that there is such a thing as “relationship karma”? Have I been sentenced to a life-long journey of loneliness as a punishment?! ?